Driving a De Tamaso Pantera is like riding on the back of a lion (not that I have done that) don’t let the sleek design and creature comforts fool you this is a full-on race car. 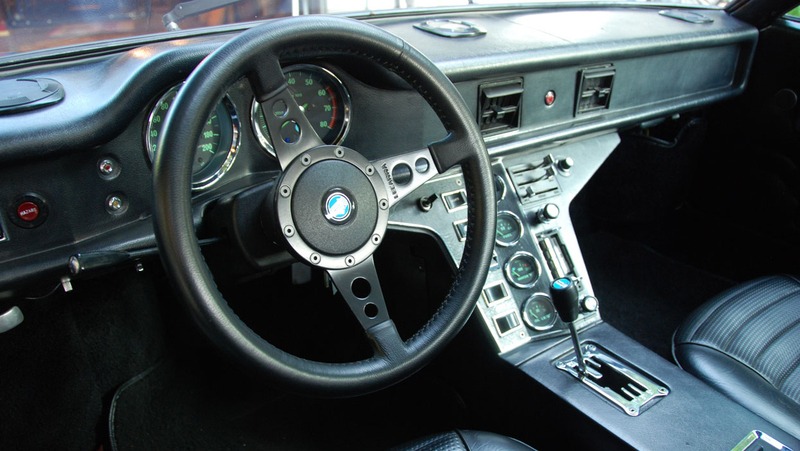 The massive torque from the ZF transaxle helps reduce the need for gear changing at low speeds which comes in handy for city driving, but don’t plan on listening to your favorite song as it also creates a symphony of engine sound in the cockpit. When you first sit in the car you are greeted with a great instrument layout. 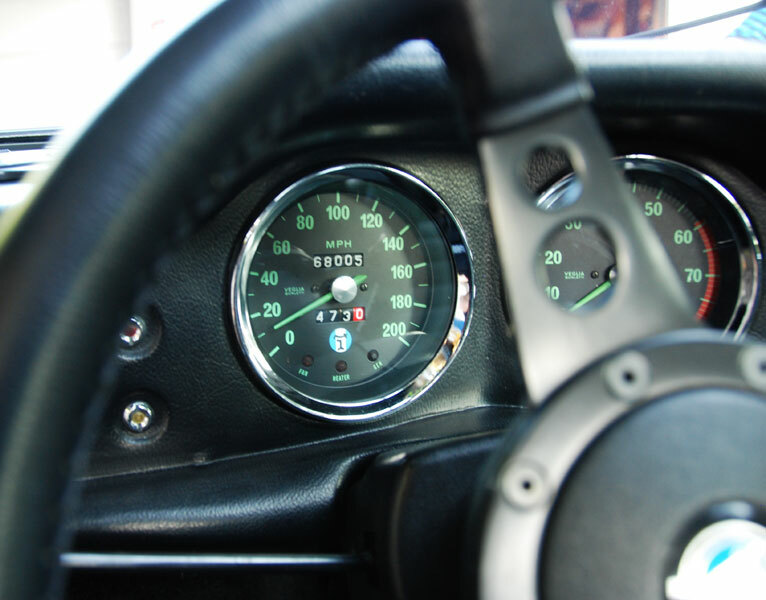 Then you hit the ignition and the roar of the engine is all you can think about. 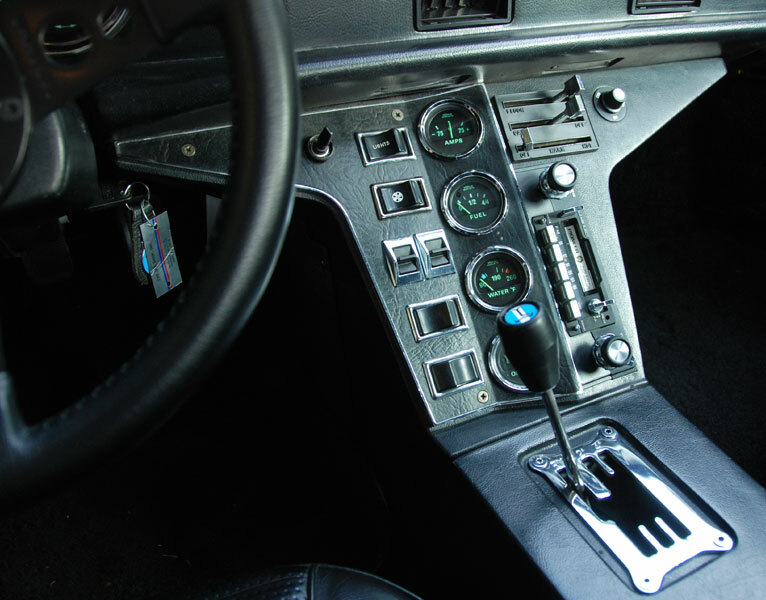 You soon get acquainted with the gated gearbox and you are on your way. Low to the ground and ready for action the car responds very well and begs to be driven on a track. But I keep it under control and just settle into everyday traffic with a lion strapped to my back. 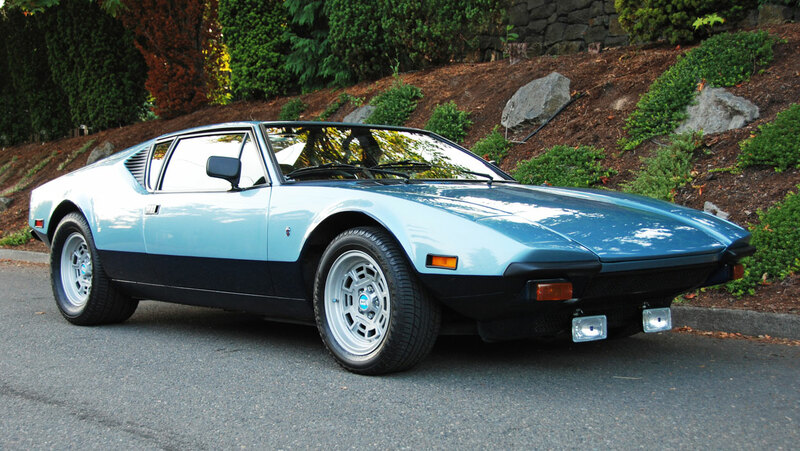 The Pantera (Italian for Panther) has a pretty cool history. It was a collaboration between the Ford Motor Company and former eccentric auto racer Alejandro DeTomaso. In the early 70’s wide leg jeans were popular and mid-engine super cars were the way of the future so Ford looking to maintain its high-performance image dove in head first. 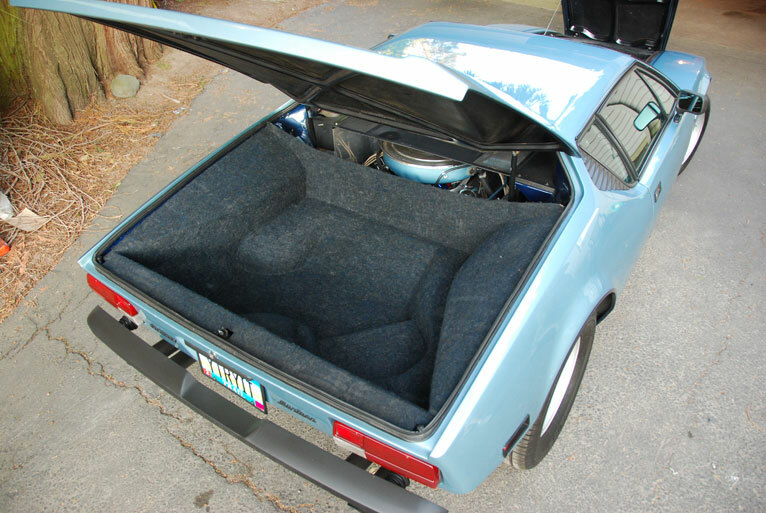 Working for the Italian design firm Ghia, American designer Tom Tjaarda combined Italian exotic styling with reliable V-8 Ford power. 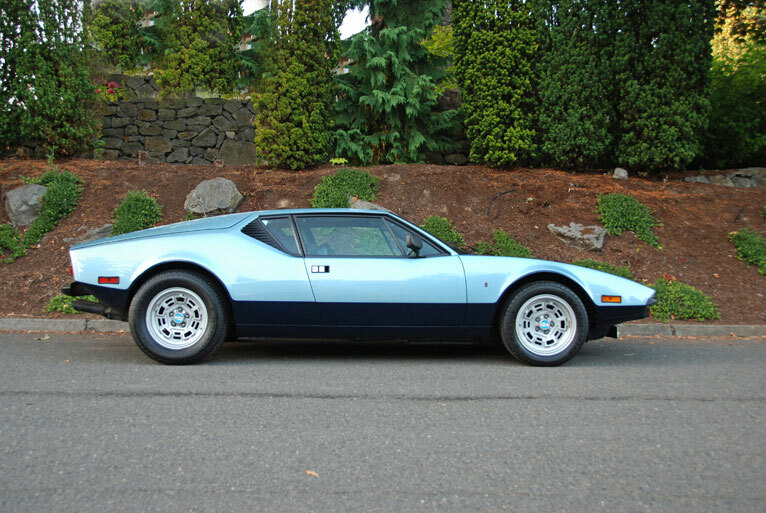 The De Tamaso Pantera made its 1970 debut in Modena Italy and the New York Auto Show where it was very well received. Even Elvis had a yellow one so you know it was a cool car. 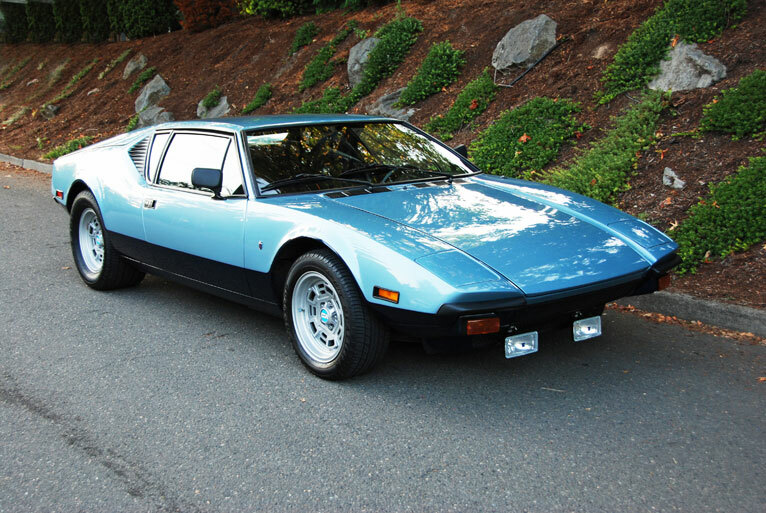 At the time I could only build a model car of the Pantera but for buyers it was an affordable option as many contemporary exotics (Maserati & Ferrari) cost twice as much. 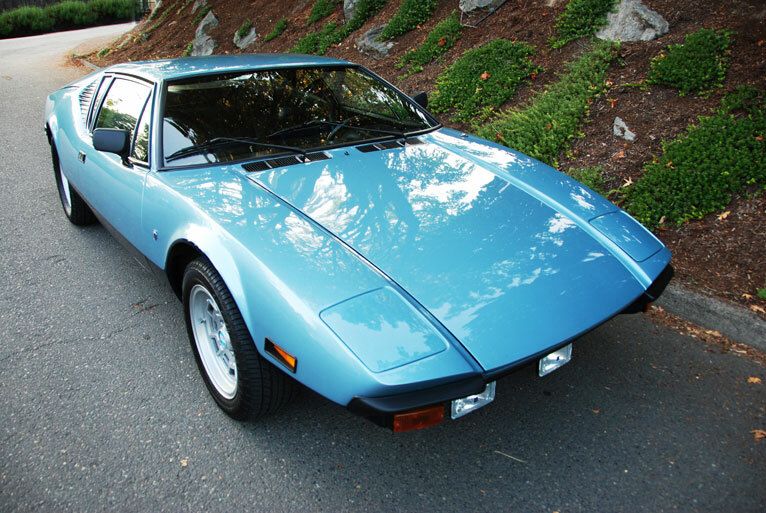 Everything has a life cycle and due to a myriad of factors in 1975 the car was no longer imported into the US. Poor sales as a result of the 1973-74 gas crisis was one of the reasons you didn’t see many De Tamaso Panteras on the street. Then came the knockout punch with the 1975 U.S. safety and emissions standards that would require the car to be significantly redesigned (including the power train) to stay in the U.S. market. 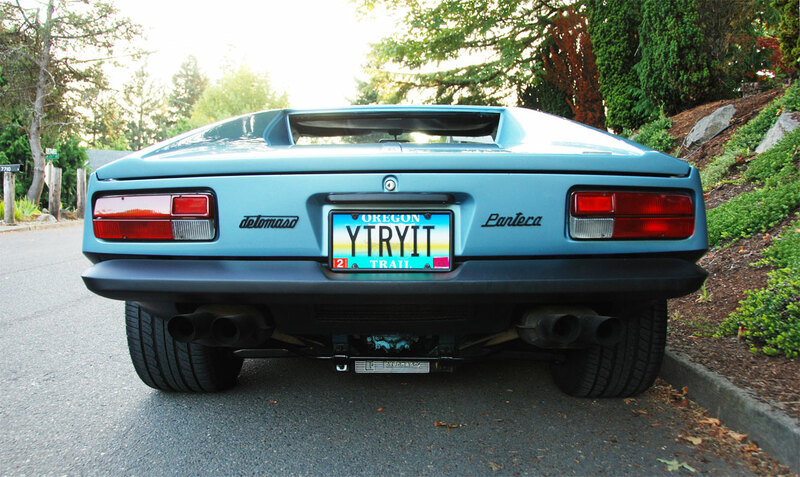 This would have been too costly for the amount of cars being sold at the time but the Pantera did stay in production for the rest of the world till 1992. 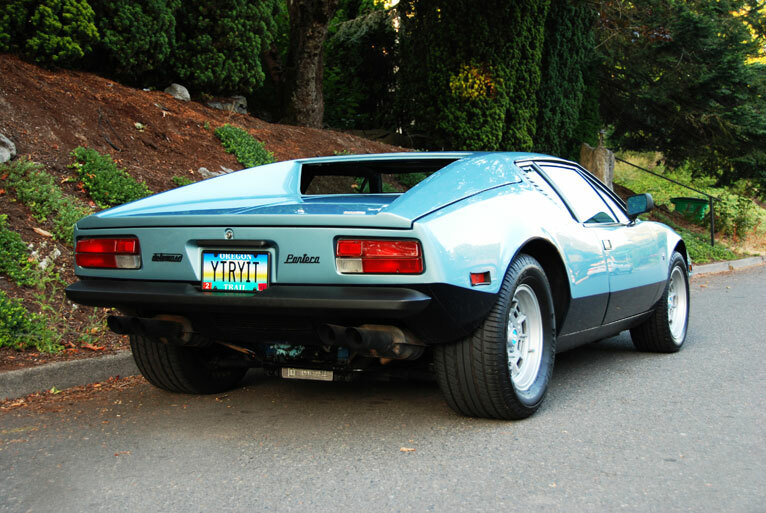 For me the De Tamaso Pantera’s styling has aged quite well and the performance will still throw you back in the seat. Good examples will be collectible for many years to come and the beautiful design and sound of the engine will always command attention.